6700ZZ Shielded Ball Bearing. The 6700ZZ bearing is a popular size that could be used in many RC Cars and Trucks. The bearing is made of Chrome Steel and comes with 2 metal shields to protect the bearing from dust or any possible contamination. 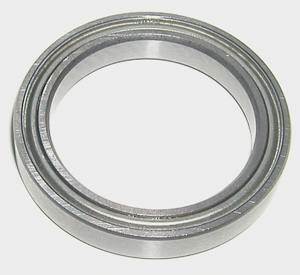 The bearing is pre-lubricated with grease. Used on irobot dirt dog which had no bearings and the gears had worn out the casing. Some work with a dremel and glue and so much quieter as well. Used for the Roomba ball bearing modification. worked great.